This is the complete version of the video used to open the webpage and defines the Saxattack project. 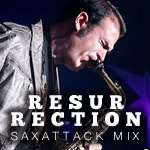 Raw solid sound with Saxattack unleashed. Brutal!